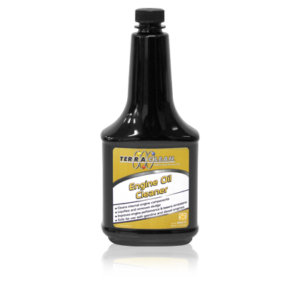 Works to reduce or eliminate sticky, gummy oil residue on engine parts. 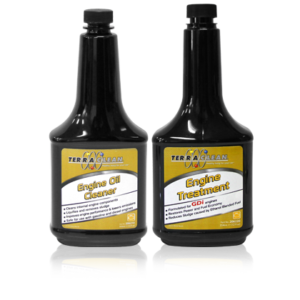 Completely organic formula-uses no petroleum based solvents that may harm your engine. 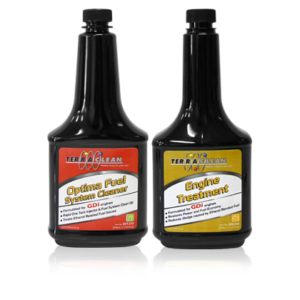 Extends engine and turbocharger life by improving lubrication and cooling. Today’s engines operate at significantly higher temperatures and compressions, generating a large amount of waste heat. This places higher demands on the engine oil. These elevated temperatures can lead to the rapid formation of sludge and varnish; especially with today’s longer OE oil change intervals. 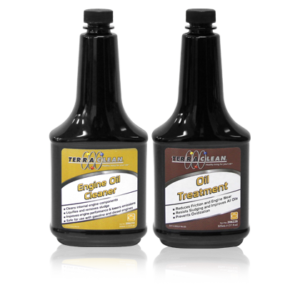 These deposits cause a reduction in heat transfer and oil flow. 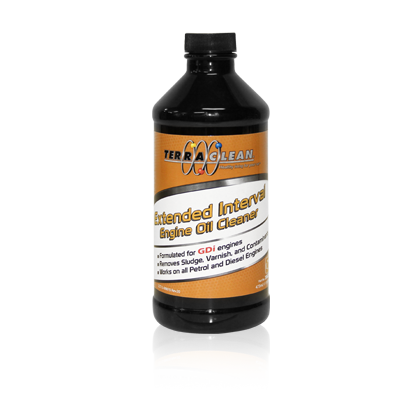 The TerraClean™ Extended Interval Engine Oil Cleaner effectively dissolves and suspends sludge and oil deposits so they can be safely and easily removed from the engine. The removal of this oil and sludge build up is critical in a “keep clean” program with modern gas and diesel engines.